Having studied a lot of reviews on hotel websites and forums, we have created our top list of Milan hotels in various price range, located in the heart of the city. The three-star Hotel Gran Duca Di York is located in a historical building dating back to the XVIII century - in its lobby you can see the well-preserved frescoes, marble columns and statues. The convenient location allows you to get to the main attractions of the city in several minutes. The Cathedral, the Royal Palace and the famous shopping mall Vittorio Emanuele II – they all are close to the hotel. Modern rooms are decorated in bright, cheerful colors. Comfortable furniture, mini-bar, equipped bathrooms, and air conditioning - all the 33 rooms are comfortable enough. Some rooms, located on the second floor, have an exit to the terrace. Gran Duca Di York offers its guests the "buffet" breakfast and anyone can order breakfast into the room. The hotel has a bar with a good selection of drinks. The Hotel Santa Marta Suites is located on Via Santa Marta – an antique street in the historical city center. 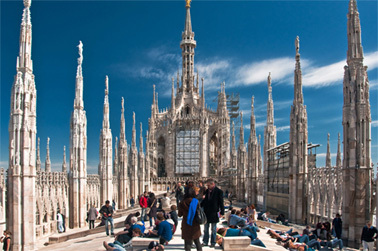 The main attractions of Milan are within walking distance from the hotel. In addition, the surrounding streets offer many restaurants and cafes to suit all tastes, where you can spend time and enjoy the famous Italian cuisine. The rooms are decorated in traditional Italian style; natural materials are used for their finishes - wood, wild stone and antique home furnishings. Each of the 10 rooms has a private bathroom with toiletries, a mini-bar, television, and air conditioning. The excellent Continental breakfast is served directly in the room. In summer the breakfast is served on the terrace. The guests can also order any drinks at the bar. 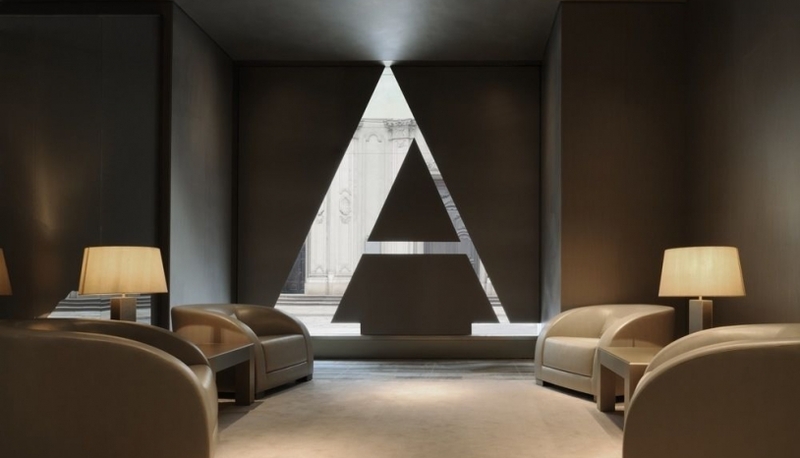 Armani luxury hotel is located in the trendy quarter of the most fashionable city in Italy. In walking distance from one can find fashionable shops and restaurants. In a 10-minute walk there is a gorgeous Cathedral of Milan. The hotel, built by architect Enrico Griffin in 1930, is a gray stone building. There is a large glass dome in the form of a cube on its roof. The rooms are designed in Armani’s favorite colors - beige, bronze and steel. All rooms have splendid bathrooms, decorated with natural stone and marble, with toiletries by Armani, hairdryers, bathrobes, towels. An LCD TV with satellite channels, coffee makers, telephones, air conditioning, mini-bars make your vacation even more comfortable. On the top floor, under a glass roof, there is an elegant restaurant, which serves traditional Lombard cuisine and a stylish bar with an excellent selection of drinks. The hotel has a business center with modern equipment, consisting of three conference rooms. Guests are welcomed to SPA, sauna, Turkish bath and the pool. GFE4.ME © 2019. Alle rechten voorbehouden.